Innovative lawyers. Two words that seem like an unlikely pair. At least, that's how it used to be. But lately, small firm lawyers are changing that assumption. This is because these lawyers are uniquely positioned to innovate. Their smaller size allows them greater flexibility. Small firms lawyers are better able to respond to market changes, advances in technology and the demands of legal consumers. These lawyers are more willing to learn about and take advantage of emerging technologies or newfound practice management theories and are changing the ways in which legal services are delivered to consumers. If you'd like to learn more about how solos and small firms are changing the practice of law from the ground up, look no further than Small Firm Innovation. It's the newest group legal blog on the block, sponsored by Clio (a company that provides SaaS-based law practice management software), and focuses on the innovativeness of solos and small firm lawyers. Head on over and check it out. There are a ton of great posts by a multitude of authors. It's a great resource, with lots of useful information. 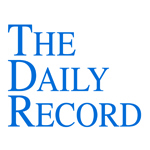 This week's Daily Record column is entitled "Do lawyers have a duty to supervise cloud computing providers?." In a column that I wrote last October, I explained that American Bar Association’s Commission on Ethics 20/20 was eliciting comments on the issue of whether the Model Rules of Professional Conduct 5.3 should be revised to incorporate the concept that lawyers should be required to “supervise” cloud computing providers, just as lawyers are required to supervise other non-lawyer assistants such as paralegals. 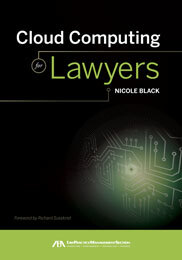 In my prior column on this issue, I expressed alarm at the idea that lawyers might have a duty to “supervise” cloud computing providers since there is a fundamental difference between outsourcing legal and administrative functions and outsourcing data management and storage to online legal service providers given that most lawyers simply do not have the IT qualifications to oversee tasks like computer programming, encryption, data storage, and the delivery of said services. I also submitted comments to the Commission outlining my concerns in this regard. Last week the committee released its initial draft proposals (which are available for further comment through July 15, 2011) regarding the proposed amendment to Rule 5.3. The gist of the rule is that lawyers are required to make reasonable efforts to ensure that non-lawyers retained by the firm provide services consistent with lawyers’ professional obligations. Aside from the minor change to the title, the rule stayed the same. “The last sentence of Comment  emphasizes that lawyers have an obligation to give appropriate instructions to nonlawyers outside the firm when retaining or directing those nonlawyers. For example, a lawyer who instructs an investigative service may not be in a position to directly supervise how a particular investigator completes a particular assignment, but the lawyer’s instructions must be reasonable under the circumstances…” (Emphasis added). Given my previously expressed concerns, I was happy to note that the Commission limited the scope of an attorney’s duty to oversee the activities of non-lawyers retained to provide services on behalf of the firm. The italicized section is particularly important since it acknowledges that lawyers may not always have the necessary expertise to supervise non-lawyers, depending on the services provided. However, I do hope that the italicized language will be included in the Comments to the final version of Model Rule 5.3 as opposed to the comments explaining the proposed revisions. I fear that the failure to include the italicized language in the Comments will result in a rule that provides insufficient guidance for lawyers who are unsure of their obligations in regard to overseeing the services provided by cloud computing providers. This week's Daily Record column is entitled "Droid Apps for Lawyers." An online reader asked me to write an article about apps for lawyers who use Android phones. I thought it was a great idea, especially since I’ve been predicting for the last few months that Android-based phones will eventually outsell iPhones—perhaps within the next year. Many of the more popular iPhone apps that I’ve discussed in past articles are cross-platform apps and are also available on Droids, so I’ll focus on Droid-specific apps in this article. Since I don’t own a Droid, I relied on online resources and recommendations from my online network in curating this list. Rather than listing in this article the lengthy URLs where apps can be purchased at the online Android Market, I created, for your reference, a list that includes links to these apps, which can be found here. First up, DroidLaw is a free app that includes the full texts of the Federal Rules of Civil Procedure, Evidence, Appellate Procedure, Criminal Procedure, and Bankruptcy Procedure. Each set of rules is provided in a format that permits searching, bookmarking, copying, sharing and note taking. Next up, Time Tracker ($3.99), an app that facilitates hourly billing. Using the app you can enter and track your time, edit the time reports, and export the data into a custom CSV report. Another useful app is the Law Guide, a free app provided by Law.com that offers a number of features including a legal dictionary and access to legal forms. Also worth considering is the Lawyer’s Calendar Buddy Pro ($2.69), which offers a number of useful features, including the ability to calculate a target date from a given start date, store key case events, and list events between two dates after excluding holidays. In addition to the legal specific apps, there are a few general purpose apps worth mentioning that lawyers will likely find useful. First, there’s the free Voice Recorder app for Android, which allows you to record, save and email audio files. File manager apps are always useful on smart phones since they permit the organization of all of your files in once place on your phone, and the free Droid app aptly named “File Manager” allows you to do just that. As lawyers, we spend a lot of time revising and editing documents, so apps that allow the viewing and annotation of PDFs are very useful tools. RepliGo reader is a great app for this purpose and costs just $4.99. Next up, an app that was just released last week, Google Apps for Android. It’s a free native application that offers the useful feature of allowing photos of documents to be converted into fully editable documents. Documents to Go 3.0 is another app to consider. There is a free version of this app available that facilitates the opening and editing of most file formats, including Microsoft Word, Excel and PowerPoint files. Another useful app is PdaNet, a free app that allows you to tether your Android device to your laptop. Finally if you’re looking for a great resource for lawyers who use Droids, look no further than the very useful blog “The Droid Lawyer” (http://thedroidlawyer.com/). I became aware of this blog after its author, attorney Jeffrey Taylor, was kind enough to respond to a request I made of my online followers for recommendations for Droid apps for lawyers.